Overview: The compact SUV segment now leads the U.S. automotive market, so automakers have to bring their A-game to compete. 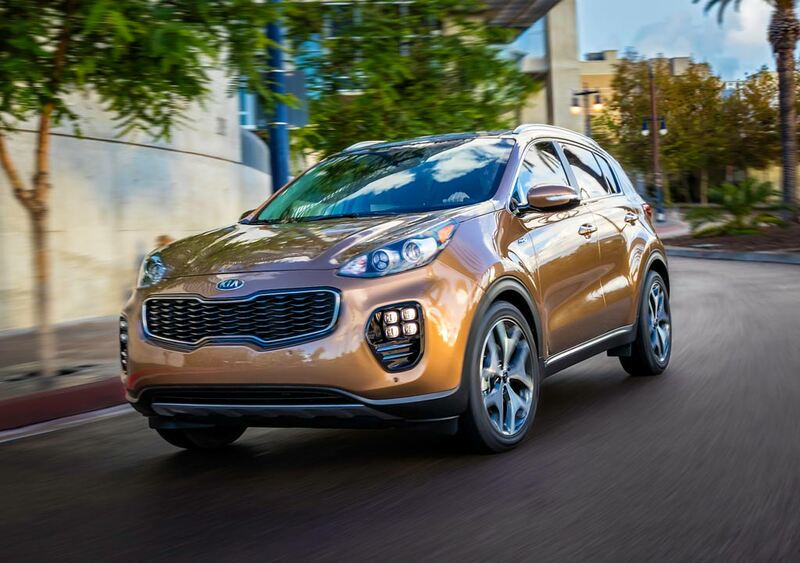 The redesigned, fourth-generation Kia Sportage is a strong contender because it offers A-game upgrades inside, outside, mechanically and underneath the sheetmetal, with a wide variety of technology options. Designer Peter Schreyer, lured away from VW/Audi, has gifted the entire Kia line with a bold new look, and that includes the 2017 Sportage. There are two drive trains offered, a 2.4-liter direct injection and a 2-liter turbo that powered our test vehicles. Both are inline 4-cyclinders, with a 6-speed automatic as the only transmission option. Interior: The new Sportage offers slightly more interior room than previously. However, it successfully creates the illusion of more space thanks to the larger, panoramic glass sunroof, which gives that “room without a roof” feeling like the song says. The interior utilizes high-quality materials on par with European and Japanese competitors. Seating is comfortable and roomy, with the center stack angled slightly toward the driver for easy access to the navigation and audio controls. The optional LX Cool and Connected Package adds an all-new, 7-inch, dual-face touchscreen featuring Apple CarPlay and Android Auto. Behind the Wheel: We drove both the AWD and FWD versions of the Sportage on an introduction press event that took us from San Diego, across the mountains to Borrego Springs, and back. The ride was firm, yet comfortable, with great handling, braking and less road noise than before. Whines: No hybrid version is offered. 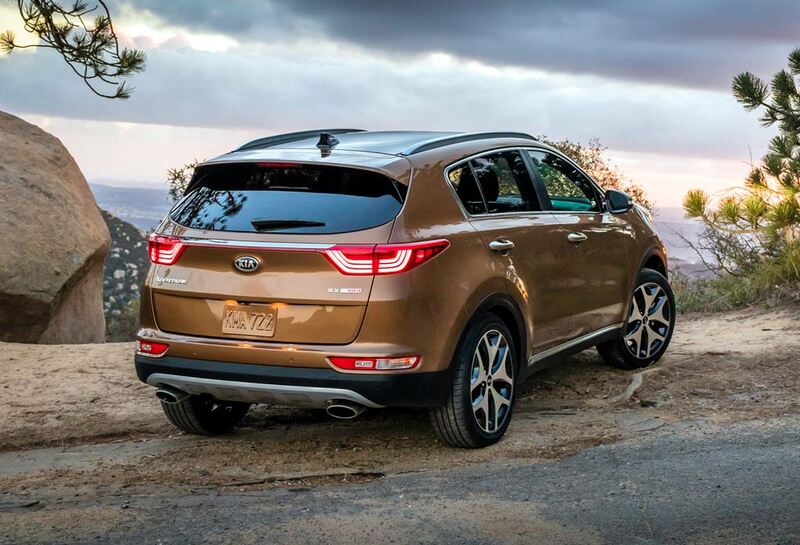 Bottom Line: A standout competitor in this crowded market segment, delivering sharper looks, a more upscale interior, improved technology and quieter ride, all prove that Kia has hit another grand slam with the 2017 Sportage.